This Canon Glossy photo paper provides photo-lab quality prints every time and is ideal for everyday use. This 200gsm paper has a smooth, high gloss finish with a microporous coating for fast ink absorption and quick drying photo prints. 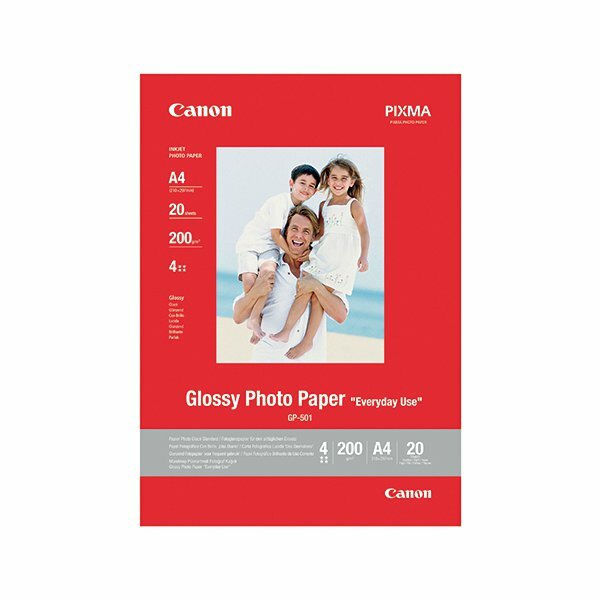 This pack contains 50 sheets of A4 photo paper.